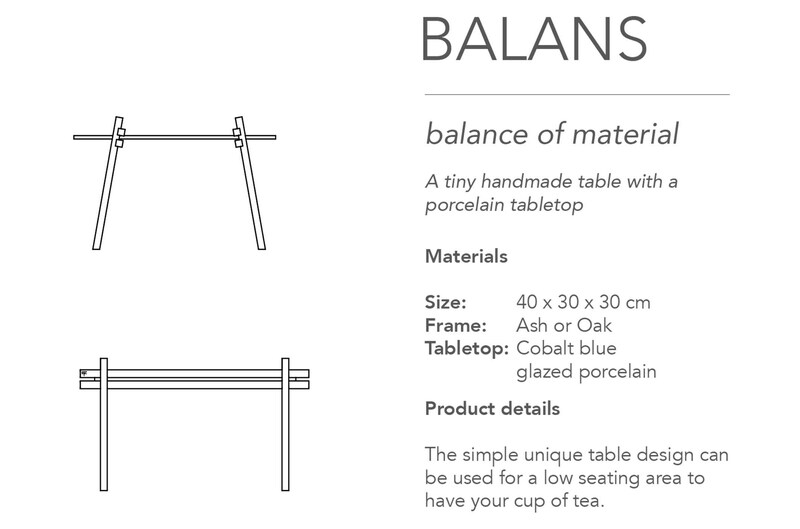 Rationalising my intuitive design methods I created this fragile porcelain table design. 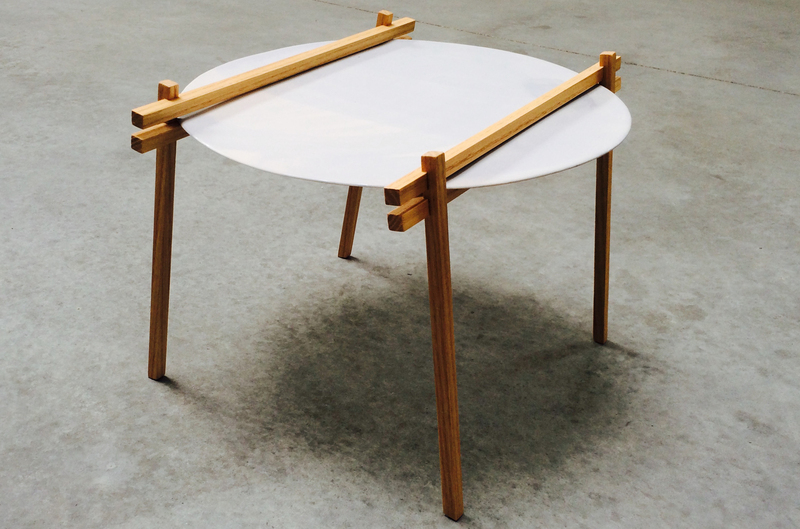 Two handcrafted wooden frames hold one naturally shaped porcelain circle. 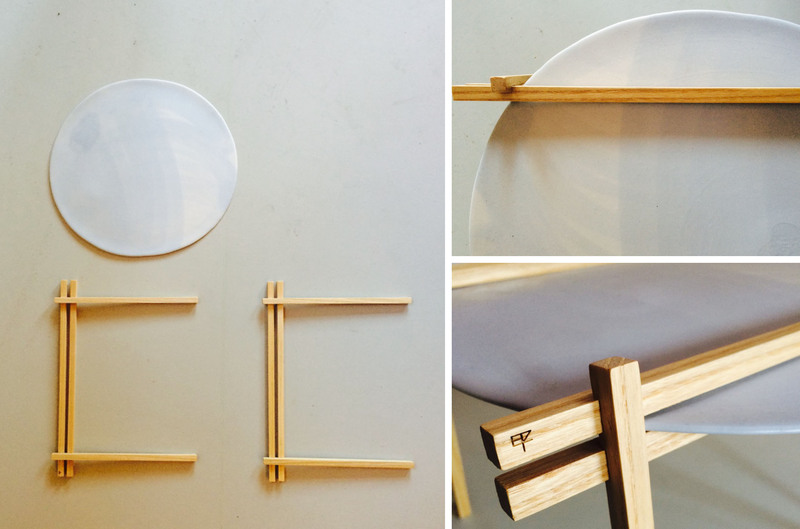 This simple yet unique conceptual design can be used to place at low seating areas or to display small objects.